What's the purpose of the alligator clips on the screws, and how should I go back reinstalling this? 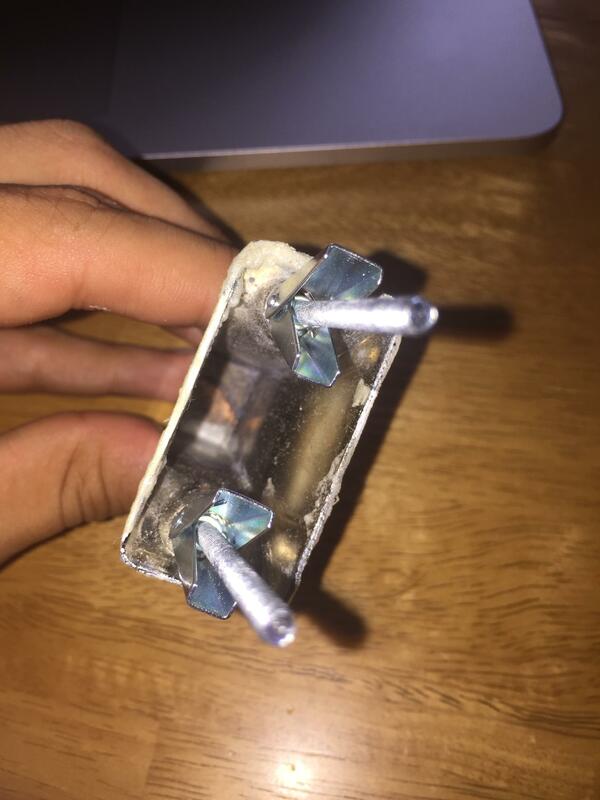 I can't seem to find a plate in the wall that the screws attach to. Those are anchors and they are installed backwards on the screws. Turn them around the other way, slip them into the holes, and they will spread and hold as the screws are tightened. I don't really like this type of anchor, but if it what is already there I would use it. Unscrew the toggles from the bolts and turn them around, but do not screw them on all the way to the holder as they are in the photo. Just screw them on far enough that are on securely then pinch the wings of the toggles together and push them into the holes in the wall. You will feel or hear them expand once they are into the wall cavity. 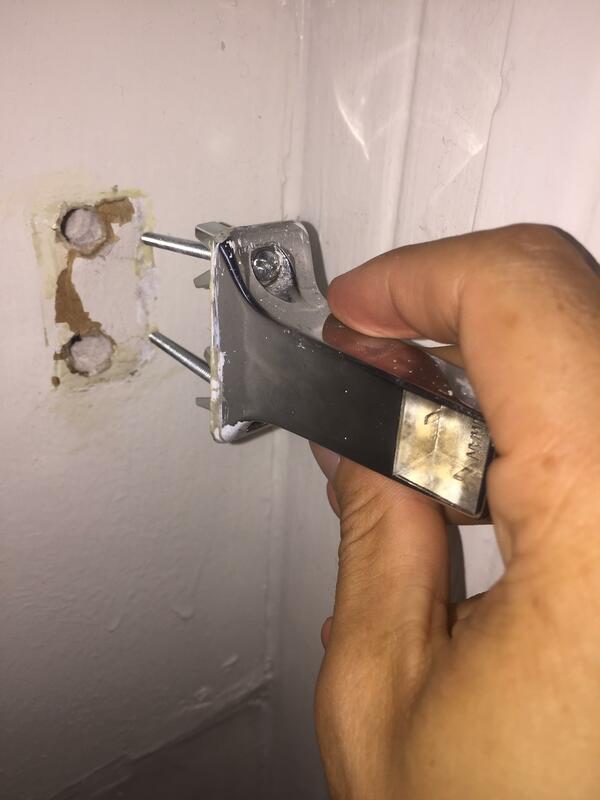 You then pull back on the holder which pulls the toggles up against the back side of the drywall as you use a screw driver to tighten them down. Here is a video that shows how to install them. Go to the 1 minute mark to see how the bolt goes into the wall. Not the answer you're looking for? Browse other questions tagged bathroom drywall toilet screws bathroom-fixtures or ask your own question. Toilet paper to the left or right? What is the easiest way to tear out a bathroom subfloor? What should I know before having bathroom fixtures installed? How do I find the valves on a toilet with hidden pipes? Bathroom ceiling vent has a fan cover, and a duct behind it but no wiring. What does that do? 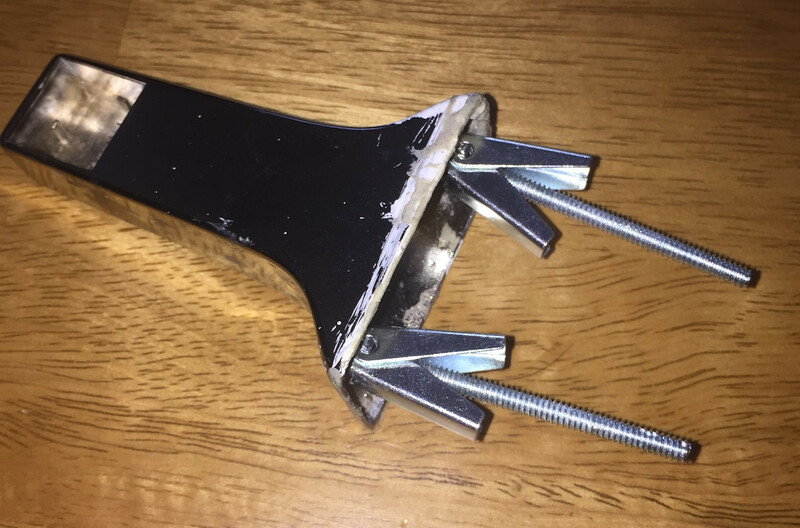 What are these bathroom mirror lamp holders called?